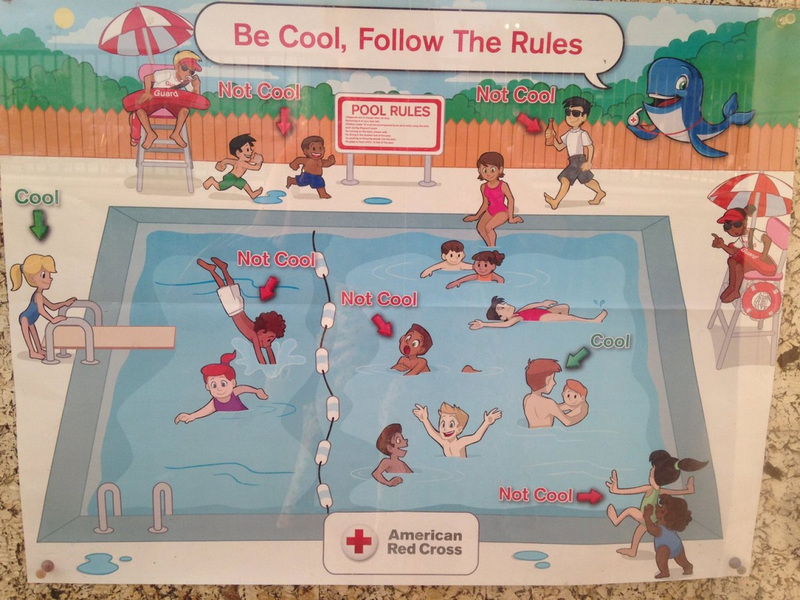 A Red Cross swim safety poster has been widely decried as racist. The Maryland-based group Black Kids Swim condemned a controversial Red Cross poster Friday. "The images and videos produced and distributed by the Red Cross are unfortunate in that they discourage Black children from participating in the sport of swimming by extending negative stereotypes," the group said in a statement. The swim safety poster demonstrated pool safety rules with depictions of white children acting properly and children of color misbehaving. "This is especially disheartening when added to the saddening statistics and the historical exclusion of African Americans from public pools and safe open water swimming areas." Public pools and beaches were commonly segregated throughout U.S. history, according to Ebony Rosemond, the group's founder. A 2010 study commissioned by the group USA Swimming found that about 70 percent of African-American children cannot swim. Black children aged 5 to 19 were significantly more likely to drown in pools than their white counterparts, according to a 2014 study by the Centers for Disease Control and Prevention. Red Cross issued a statement Monday apologizing for the poster, which has been widely decried as racist. "It was absolutely not our intent to offend anyone," the statement read. "We have notified all of our partner aquatic facilities requesting they take down the poster." Officials said Monday that the poster is not hanging in pools owned by Baltimore City or County. A spokeswoman for the Red Cross did not respond to questions Monday about whether the poster was hanging elsewhere in Maryland.